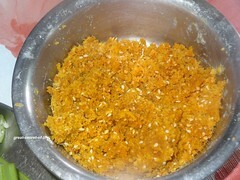 Mix in the ingredients under for stuffing. 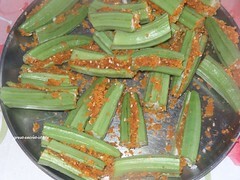 Keep it aside. 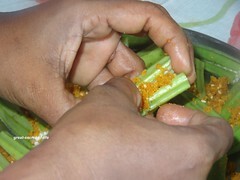 Wash and pat dry ladies finger. 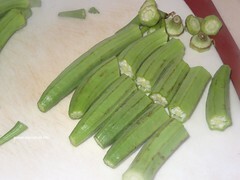 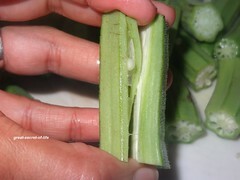 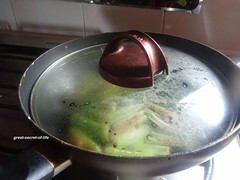 Remove the ends and cut into 2 (if you are using full skip this). 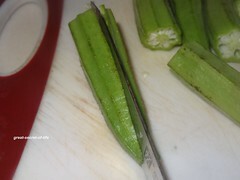 Slit the center of each pieces like what you see in the pic. 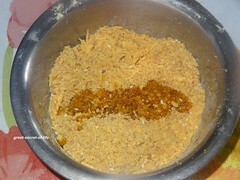 Carefully stuff it with besan flour mixture. 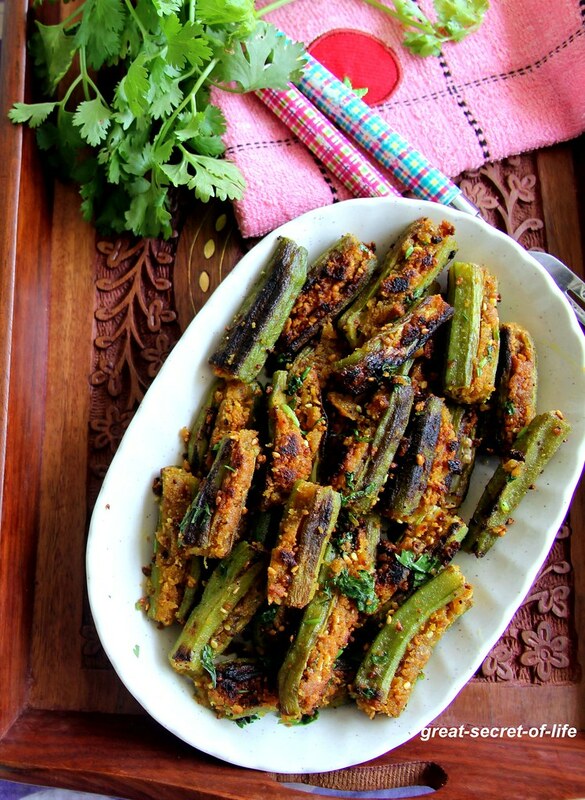 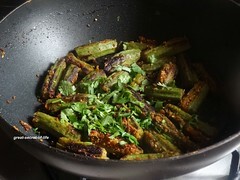 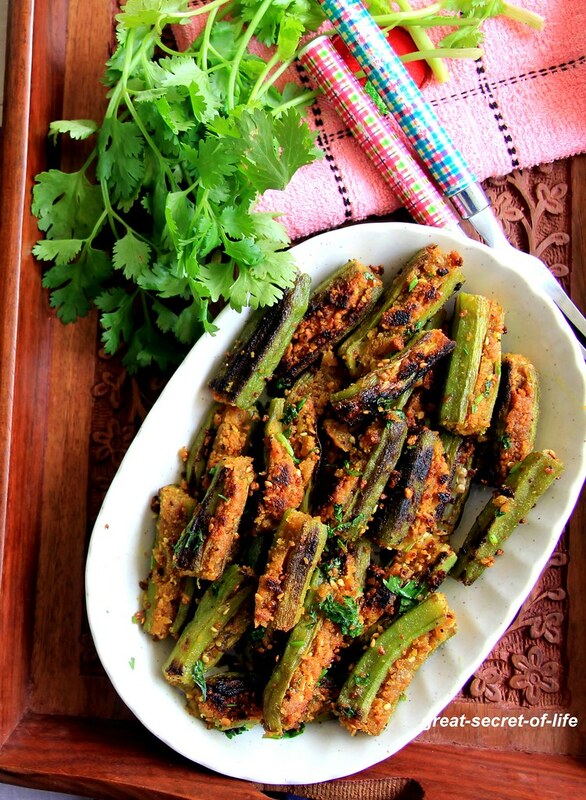 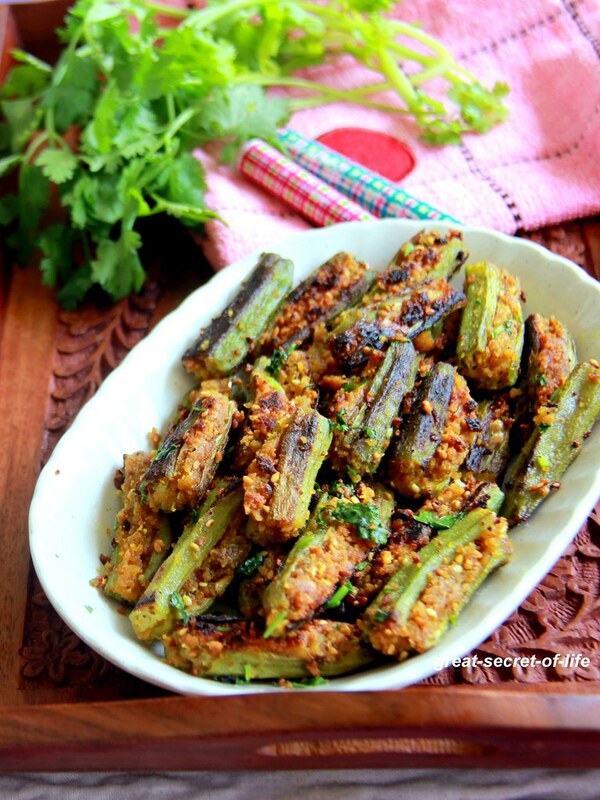 super spicy and flavorful stuffed bhindi, looks so yumm! 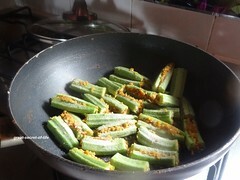 They look awesome,feel like picking a piece right off the screen..